WASHING AWAY THE FALLACIES OF FLOOD - The Rough Notes Company Inc.
Layers of fallacy stand between property owners and the insurance coverage that can protect them from the financial devastation of flood losses. People and businesses in need of flood insurance often go without because they don’t recognize the risk, don’t realize they’re not covered, or dislike the perceived lack of choice in how they protect themselves. For agents, these fallacies can lead to dissatisfied customers, and an uninsured or underinsured flood loss may provoke a lawsuit claiming that bad advice from the agent left the property owner exposed. Anything that increases understanding of this marketplace can only improve the chances of washing away old fallacies and bringing flood coverage to more property owners. A collective national gap in flood coverage begins with the fallacy of the 100-year flood plain. These special flood hazard areas (SFHAs), designated by the Federal Emergency Management Agency (FEMA) via flood maps, are where mortgage lenders generally must require borrowers to buy flood insurance for their properties. The meaning of the 100-year flood plain is often misunderstood: It’s not a matter of time, so it doesn’t mean the land will flood only once in a century. Instead it’s a measure of probability. In theory, a property in a 100-year flood plain has a 1% probability of loss every year. Actual probability can differ greatly. Changes to the landscape, often manmade, may extend areas most at risk for flooding beyond mapped boundaries. Clearing of vegetation and creeping impervious coverage by roads, parking lots, and other paved areas make the land less able to absorb moisture. This can increase runoff into waterways and low-lying areas during heavy rains. And as climate change unfolds in some areas, rainstorms will become stronger and more frequent. Adjustments to the FEMA floodplain often lag behind changes in the landscape and climate. The science of updating flood zones is time consuming, and final determinations are subject to influences outside of science. And so the notion of a 100-year flood plain gradually becomes less useful as a measure of real risk. True risks: Do consumers know? Barring a lender requirement, which may even apply to some properties outside of an SFHA, flood insurance can be a hard sell to property owners. Many consumers may harbor a second fallacy: Because their mortgage lender doesn’t require flood insurance, they’re not at risk. But as noted above, the absence of such requirements may reflect a faulty measure of true risk. One example is Hurricane Harvey: About half the flooding was outside of 100-year flood plains, and most properties inundated by Harvey’s rains didn’t have flood insurance. A similar outcome could occur almost anywhere in the United States. The Insurance Information Institute (III) estimates that just 12% of home owners nationwide have flood coverage. Many of those property owners were likely surprised twice—in that they were flooded and that their existing property insurance didn’t cover the event. The III’s 2016 Consumer Insurance Survey found that about 43% of home owners mistakenly believe a third great fallacy of flood—that a standard homeowners policy covers it. Even so, consumer information on flood risk abounds. FEMA’s website can educate property owners about flood risk and the National Flood Insurance Program (NFIP). Home- owners policies do spell out the exclusions. The challenge may be in overcoming the noise of daily life and household pressures to reveal to consumers a hazard they would probably rather not contemplate. With no risk transfer mechanism, the entire potential flood loss threatens the consumer. And what puts consumers at risk can also put their agents at risk. Yet policyholders sifting through floodwaters may not be receptive to after-the-fact advice about reading insurance policies and knowing their risks. And they may blame an agent they believe didn’t fully inform them about flood insurance. Unflattering news stories—and possibly errors and omissions claims—could follow. Proactive education can go a long way toward persuading consumers to purchase flood coverage. It might help to note that at least 20% of flood claims come from properties not considered at high risk. And flooding is not an all-or-nothing event: Short of complete destruction of a home, even a “small” flood that leaves an inch of water could cause $27,000 or more in damage to an average house, according to Aon’s National Flood Services. An agent may manage to raise awareness and point the customer toward flood coverage, even as home owners may perceive an uncompetitive marketplace. If the NFIP is the only choice, a consumer can’t shop around for the best deal. That perception, especially for home owners, has been largely accurate during most of the NFIP’s existence. 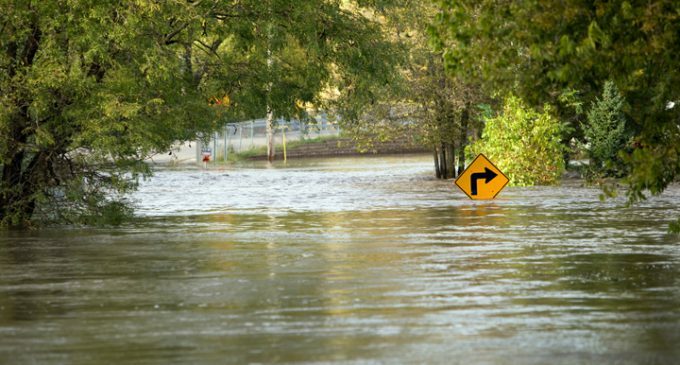 Pending reforms to NFIP and private sector initiatives point to change in the flood insurance market. The 21st Century Flood Reform Act, passed by the U.S. House of Representatives in November 2017 and now awaiting action in the Senate, would encourage development of a private flood insurance market. Such action would require FEMA to share historical flood loss data with private insurers and allow insurers to participate in both the NFIP’s Write Your Own (WYO) program and the private market. Also in 2017, FEMA licensed the inland flood and storm surge models of catastrophe modeling firm AIR Worldwide to improve FEMA’s understanding of the NFIP’s exposure and to help the program weigh actuarially sound rates for its policies. AIR’s model also will enable FEMA to assess major flooding impacts in real time. Private insurers likely will need realistic flood hazard information to participate in the market, and participation may require more diverse and granular data to supplement traditional flood maps. More properties can be covered for an often neglected and costly risk. Insurers can gain organic growth opportunities, with a potential market of $40 billion for private coverage. Agents may tap a new revenue stream while reducing E&O exposure. All taxpayers stand to benefit from a reduced need for government relief to flood victims. On the homeowners side, insurers also can gain an ability to offer broad, flexible coverage options in a template similar to a standard homeowners policy. Anything that increases understanding of this marketplace can only improve the chances of washing away old fallacies and bringing flood coverage to more property owners. Marc Treacy is managing director of flood insurance for ISO, a Verisk (Nasdaq:VRSK) business.